Home/Blog, Children, DENTISTRY ARTICLES/What Are the Worst Foods & Drinks For Your Teeth? From coffee and alcohol to fruits and pickles, there is a wide range of drinks and foods that have a negative impact on your teeth. Some of these foods – especially fruits and vegetables – are actually beneficial to your physical health due to their nutritional value, so we don’t suggest cutting them out of your diet completely or even at all. It’s essential to understand how different foods can impact your dental health and the state of your teeth – which is why you should be going in for a routine cleaning so that consumption of these foods for months and months don’t wear down your teeth before your next dental visit. As a Hamilton dental office for your entire family, we here at Dentistry on 7th are committed to providing you with high-quality dental health care and maintaining your glowing smile. We’re here to help both you and your kids reach peak dental health. If your smile is as important to you as it is to us, take care of it – be cautious of the foods that can discolour or rot your teeth. We offer all dental services that can help restore your smile, but we are also committed to keeping that smile looking clean and healthy. This one comes as little surprise – we all know that candy does nothing good for your smile. Hard candy and soft candy alike are both equally guilty of harming teeth. Soft candies are chewy and get stuck in your teeth, whereas hard candies can chip or break your teeth. Not to mention, both are high in sugar – and sugar is no friend to your smile. Candy is a leading cause of cavities, so be aware of how much you consume. 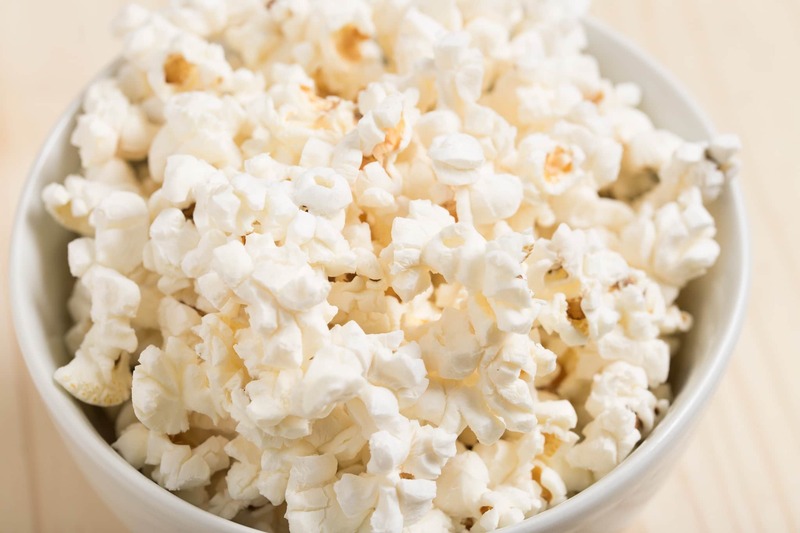 It’s sad, but it’s true – our favourite movie theatre snack can be harmful to your dental health. This salty, buttery snack is notorious for getting stuck in your teeth – and when food gets trapped in your teeth, it grows bacteria and can start to rot. If you’re noticing your breath is getting a bad odour, it could very well be because of a popcorn kernel trapped in your mouth from last Friday’s movie night. That being said, popcorn is one of the healthier snack options when made right – so you don’t need to rule it out completely. If you’re going to eat popcorn, flossing is imperative to make sure it doesn’t get stuck in your teeth for an elongated period of time. It’s frozen water – how can ice be damaging to your teeth you may ask? The thing is, even though ice doesn’t have any sugar or added properties, crunching on it puts considerable strain on your teeth. According to the American Dental Association, chewing on ice can damage your enamel and break your teeth. We all know this to be true, we just don’t want to admit it. Unfortunately, the warm beverage that helps you start your day is full of tannic acid, which not only stains your teeth but makes them sticky. These acids also tend to leave your mouth pretty dry. According to Colgate, the dark pigments of coffee is what causes the drink to stain your teeth. The pigments can make themselves at home in the cracks and ridges of your teeth, which causes your teeth to become yellow. Coffee is just worse for your teeth once you throw in additives like sugar that, as mentioned, is also bad for your dental health. Don’t think you aren’t safe from these acids just because you are a tea drinker – they are also found in black teas. Like coffee, alcohol is also full of tannic acids that will leave your teeth sticky and stained, and your mouth feeling dry. Additionally, because alcoholic beverages cause dry mouths, this reduces saliva flow. Reduction of saliva flow is a leading cause for dental problems such as gum disease and tooth decay – yikes. Unfortunately, it doesn’t matter if you prefer red or white wine – both are criminal to your teeth in different ways. While red wine stains your teeth, white is actually higher in acidity levels. Although, let’s not forget that red wine is known to have health benefits; it has antioxidants, boosts your immune system, reduces your risk of heart disease and more. At the end of the day, it’s about moderation and understanding the different ways what we put in our mouth can impact our physical and dental health. Not many people think twice before throwing a slice of lemon into their water; after all, it’s refreshing and tangy. Although, it’s well known that lemon is very high in acidity, which can corrode the enamel of your teeth among other things. 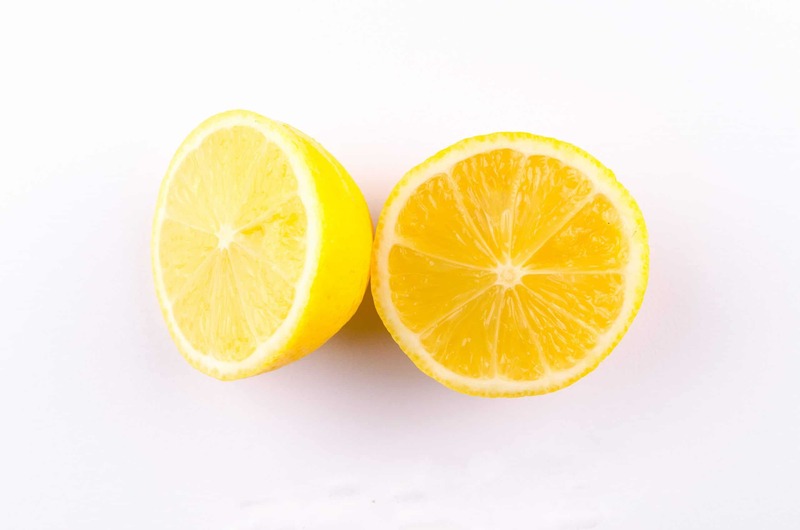 However, let’s not forget that lemons are also high in Vitamin D – and are always a great way to make your water (not to mention your baking) more exciting. The moral of the story is that you can enjoy your lemon water, just with caution. Sugary beverages like energy drinks and sodas are high in acidity and are leading causes of teeth erosion. What may surprise you is that studies show energy drinks are the most acidic beverage, and second most erosive drink – this actually makes them worse for your teeth than soda and 100% juices! Without a doubt, this fruit is the most shocking item on this list considering its physical health benefits. Tomatoes are highly acidic – much like lemons – which means that they can damage your enamel and cause dental erosion. Fortunately, the impact of their acidity is strongest when they are consumed by themselves, so you can lessen the impact by eating tomatoes with other things (in salads, in a sandwich etc.). We understand that no matter how many times you floss or brush your teeth, things happen – there will still be foods, habits and accidents that can bring harm to your teeth. It is our goal to restore your teeth to their original health through our many services, from implants to teeth cleaning. You can contact our dental clinic anytime to book a consultation where we can answer any of your burning questions and discuss the service options best suited to you and your teeth. At Dentistry on 7th we are committed to your dental health and providing high-quality professional dental services. Get in touch; give us a call at 905-963-3693 to connect with our leading Hamilton dental office.